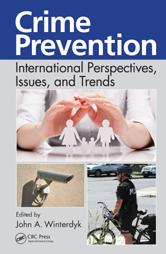 This text presents an international approach to the study of crime prevention. It offers an expansive overview of crime prevention initiatives and how they are applied across a wide range of themes and infractions, from conventional to non-conventional forms of crime. Is Punishment (Imprisonment) a Good Way to Prevent Crime? Is Community Crime Prevention Effective? What Is RJ and Why Use It? What Can Be Done to Prevent Extreme Violence against Girls? How Political Are National Crime Prevention Policies? How Political Is the Role of Local Government in Crime Prevention? Why Study the Cost of Crime? What Is the Cost of Crime?